Hi and welcome to the Partners section of my blog. You can find below the contact information of all the awesome people currently helping me with my projects. If you’d like to join us on our projects you may want to check out the Collaboration page and then send us an email. I got some bigger projects waiting in the pipeline so I’m always happy to find an extra pair of hands. If you don’t have any creative talents but still want to help then please visit our support page to find out how you can donate. 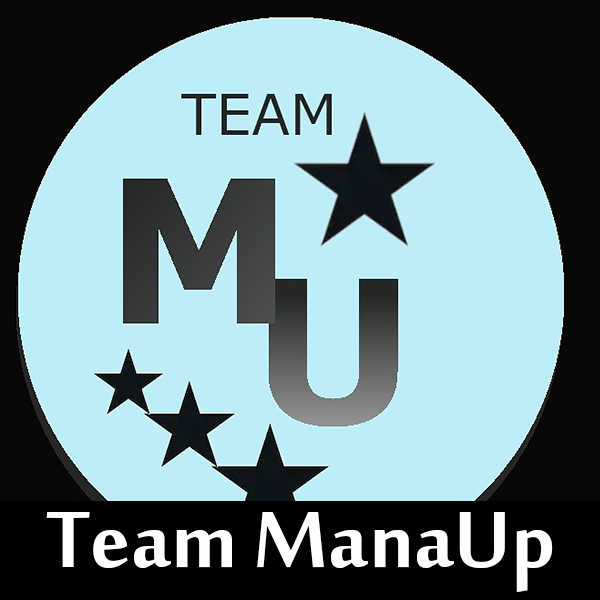 Team ManaUp is a international Support Guild for creators and gamers. They are currently donating to my comic “Niels Feynman’s time traveling adventures”, which you can read on Tapastic for free, and it’s because of amazing people like them that I can keep my comic free! They are also sponsoring my tutorial videos. Jun fender is a Italian graphic artist, she does both anime and realistic art and is quite skilled in both digital and traditional mediums. She is currently helping me by making the lineart for my comic book series “Niels Feynman’s time traveling adventures”, which you can read on Tapastic for free. Alexy Casadiego is a Venezuelan graphic artist and comic book writer. She does cartoon illustrations and advertising graphic design as well as translations from English to Spanish. She is currently helping me by translating my comic “Niels Feynman’s time traveling adventures” to Spanish, which you can read on Tapastic for free. Anna Versus is a Italian born graphic artist and comic book witter as well as a manga teacher. Adrian Hii is a Malaysian comic book writer and animator who loves cats, as you can tell! He is currently helping me by translating my comic “Niels Feynman’s time traveling adventures” to Chinese, which you can read on Tapastic for free.